Folly Coffee bags. All photos courtesy of Folly Coffee. If history has taught us anything, it’s that the value of new ideas isn’t always immediately recognized. Oftentimes people need a minute, if not a few years, to come to embrace new ways of thinking. 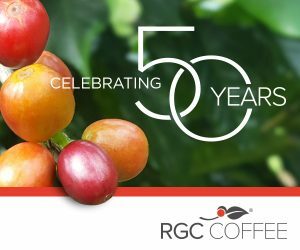 In coffee, this might apply to those old-fashioned drinkers who are generally put off by anything not roasted super dark and higher quality that might demand a buck or two more. 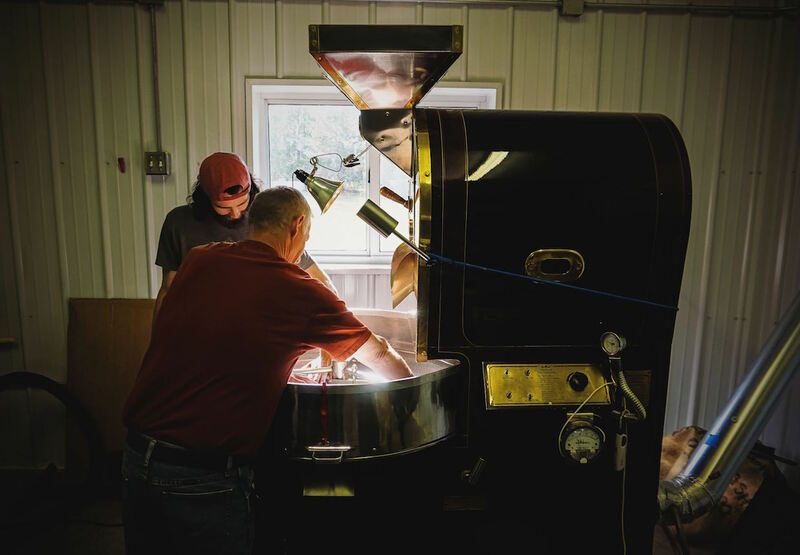 Folly Coffee, a new roasting company based about an hour outside Minneapolis, in Silver Lake, Minnesota, intends to bridge that divide. 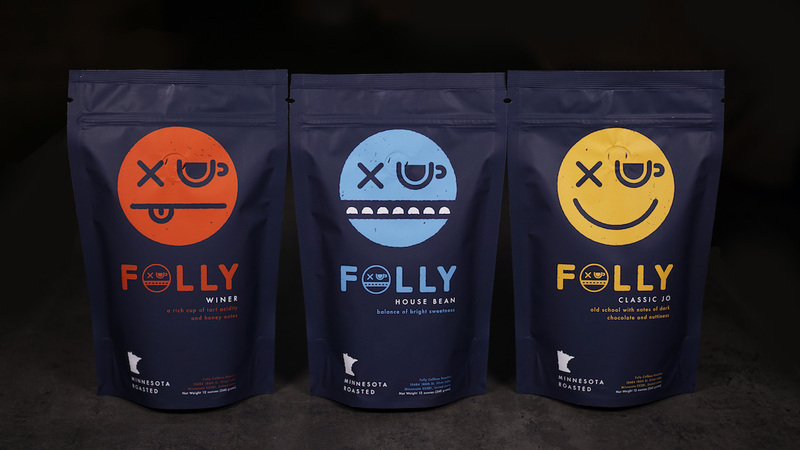 With playful branding and a personable image — one of the brand’s tag lines is “Fun Coffee, Delicious People” — Folly Coffee’s goal is to provide a gateway, winning over dark-roast-loving Midwestern hearts and minds while creating a connection to the pleasures of higher-end beans. “We’re definitely building that audience,” founder Rob Bathe told Daily Coffee News, associating the venture with a piece of Minneapolis lore involving the Stone Arch Bridge. 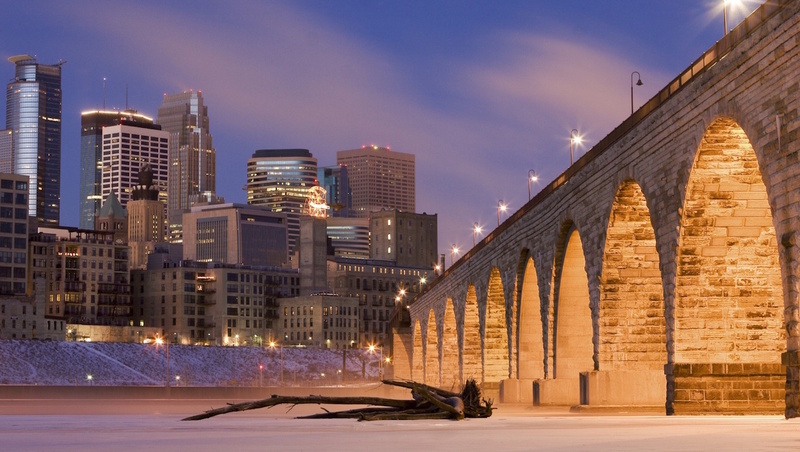 The Stone Arch Bridge in Minneapolis. Public domain photo. For the people of Minneapolis in the late 19th century, the beautiful Stone Arch Bridge — originally designed as a rail crossing, now reserved for bikes and pedestrians — seemed like a pointless and costly endeavor. Its construction proved so expensive, even for the rich railroad tycoon James J. Hill, that for the years it took to build, it became known as Hill’s Folly. Yet after it was finished and put to use, it became a unifying boon to the city, helping it to grow and evolve into the vibrant metropolis it is today. 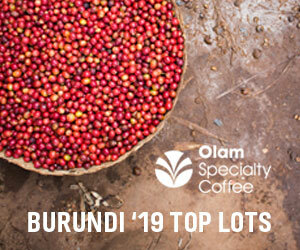 Beyond offering new coffee experiences, Folly Coffee is contributing to the community in another important way. 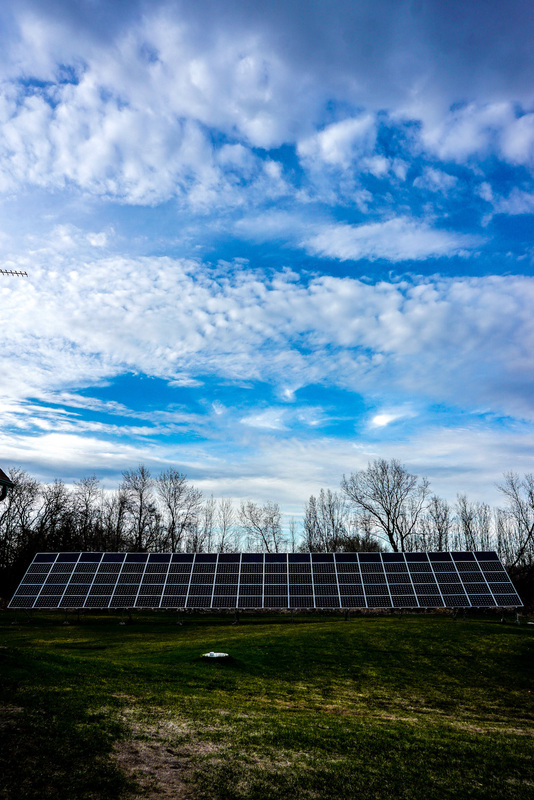 The roastery is fully carbon negative, generating more energy than it consumes through an expansive solar array for electricity and geothermal energy for heating and cooling both the roastery warehouse and the home of Folly co-founder and head roaster Ken Schweikert. 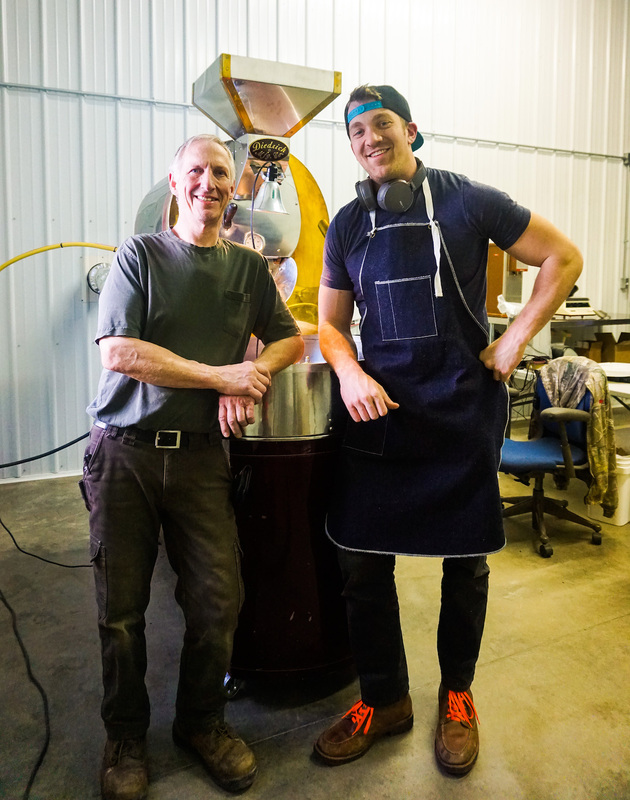 Ken Schweikert (left) and Rob Bathe of Folly Coffee. The only energy Folly consumes that it doesn’t generate itself is from the natural gas in the 1980s-era Diedrich IR12 that Schweikert bought from a flood-damaged cafe and personally rebuilt. 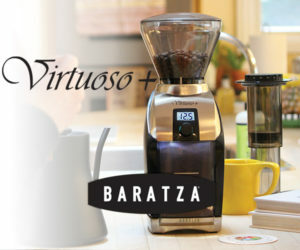 The solar and geothermal power more than offset the emissions and consumption of the roaster, according to Bathe. Schweikert lead the remodel and buildout of a pole barn on his property into the Folly roasting plant, while he and Bathe did most of the work themselves to keep costs down. 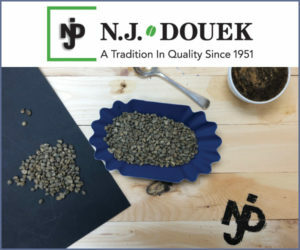 They built a wall to separate roasting from the rest of the space, put in a garage door, new siding, brought everything up to food-safe compliance and even reinstalled the electrical system. The solar panel array at Folly Coffee. 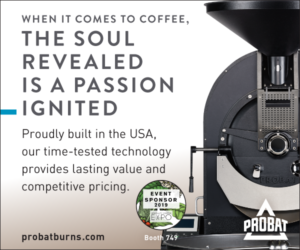 Prior to partnering with Bathe to launch Folly, Schweikert had already been roasting under the company name 1Cup Coffee Roasters, and continues to do so, independently providing single-origin coffees of a darker profile quite apart from the Folly roasting style. 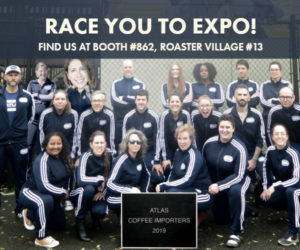 Folly focuses on green coffees sourced through Cafe Imports, with a particular focus on small farms and cooperatives in which traceability runs deep and the financial benefits to farmers are immediate, according to Bathe. However, Bathe is hesitant to overload new patrons with such details. Through six months in business at this point, the approach appears to be working. 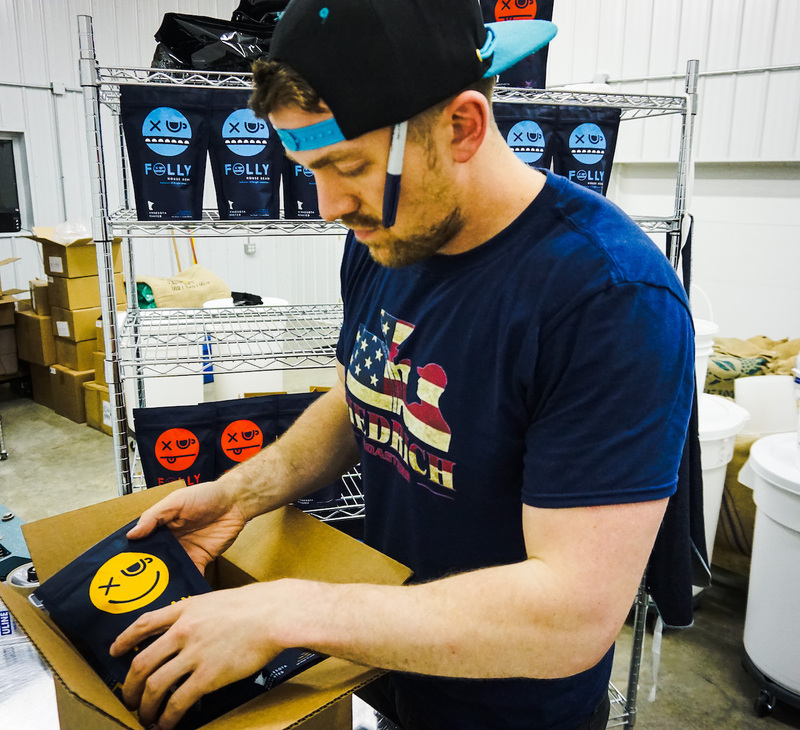 Thanks much for the great article on Folly Coffee and 1Cup Coffee Roasters. That’s my roastery pictured at my residence in South Silver Lake, Mn. The article was very nicely written. Thanks again.